During a Star Wars event in Orlando this week Disney revealed new details about the Star Wars land coming to Walt Disney World. Walt Disney Imagineering and Lucasfilm representatives said guests will be able to control their theme park experience by choosing to work for the Resistance or the First Order. Visitors will also get the opportunity to pilot the Millennium Falcon. Disney Imagineer Asa Kalama hinted there may be “consequences” for how well you pilot the ship. “An experience might begin on board the Millennium Falcon and follow you right out the door of the attraction and into the local watering hole,” Kalama said. 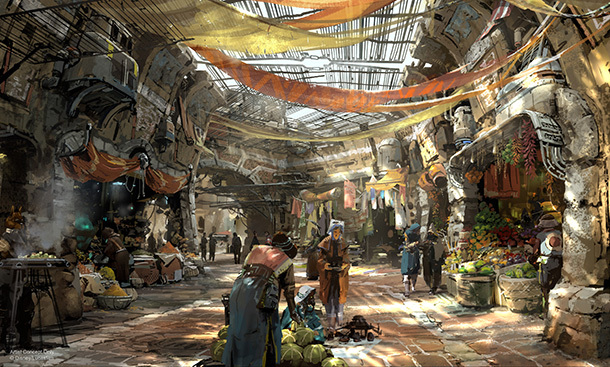 Pablo Hidalgo of Lucasfilm said technology will allow guests to “build a reputation” inside the land. Disney did not reveal how this will be accomplished, but the land will likely utilize RFID technology currently used in MagicBands. The $4 billion investment was first announced in 2015. The land will be built within Disney’s Hollywood Studios park at Walt Disney World and is expected to open in 2019.